Crimson Pygmy may be a dwarf but this little shrub adds giant interest to the landscape over a long season. 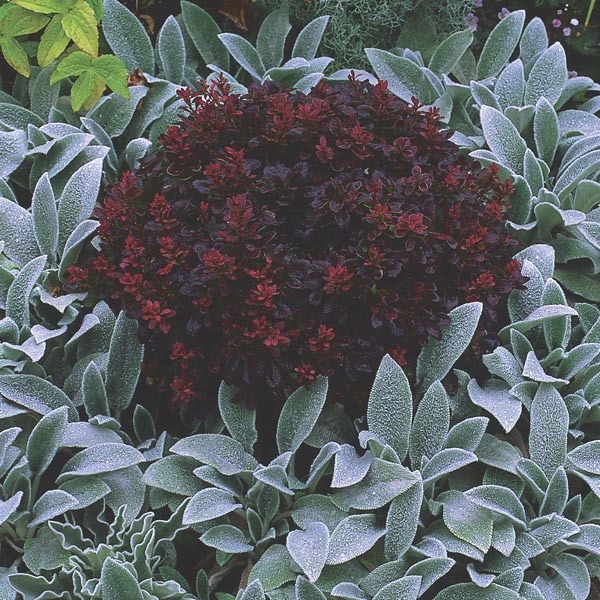 The rich red-purple foliage produces the best color in full sun. Yellow flowers appear in spring followed by small red fruits that are enjoyed by a variety of birds. A classic favorite for landscape focal points. Best used in groups and shrub borders. Useful in small gardens where season long interest is needed. Easy to grow! Plant in any sunny location in the garden. Adapts well to a range of soils with excellent drainage. Water regularly until established.